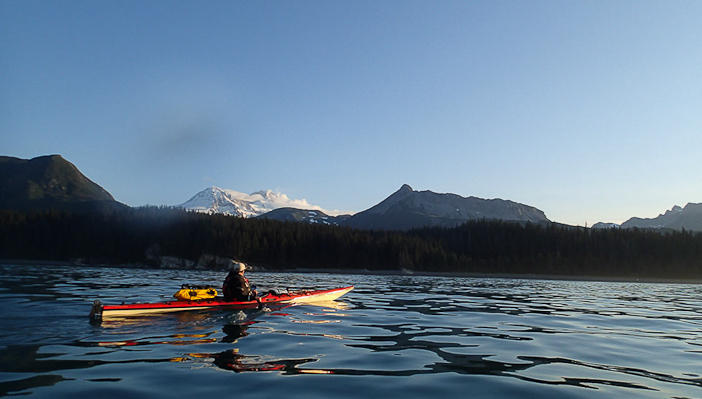 When paddler, filmmaker and scientist Steve Weileman bottled his first sample of sea water off a remote, undeveloped section of the Alaskan coast it looked transparent and pristine. Weeks later, when fellow Adventurers and Scientists for Conservation (ASC) scientist Abby Barrows looked at the same sample under her microscope she saw what she finds in more than 85% of surface sea water samples: microplastic particles. Large plastic litter is easy to see in our oceans. Plastic bags drift in the Atlantic like processed petroleum jellyfish, water bottles wash up on shores, and a massive collection of debris called the Great Pacific Garbage Patch swirls in the North Pacific. Microplastics, however, are only visible under a microscope and until recently scientists and society have overlooked them. Yet, work by ASC and research partners at the Marine Environmental Research Institute (MERI) is finding more than 85% of surface samples contain microplastic particles. 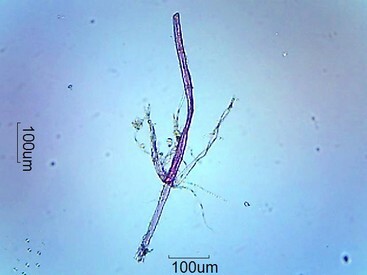 These particles can resemble phytoplankton and are ingested by marine life. Consumed by larger species, plastic and toxins may then bioaccumulate in larger marine mammals, sea birds, and humans. Courtesy ASC. Photo by Steve Weileman. As a Patagonia environmental grantee and 1% For the Planet nonprofit partner, ASC is working to raise public awareness and scientific understanding of this problem. 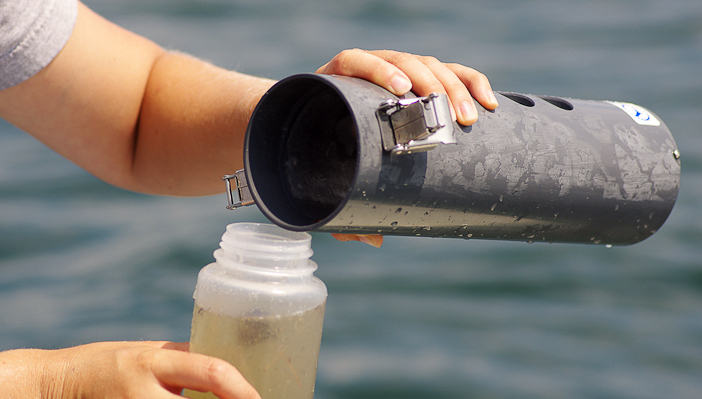 In 2014 ASC will be recruiting a flotilla of adventure scientists to help collect seawater samples to study microplastics and catalyze consumer and legislative change. In recent weeks ASC adventurers have helped MERI expand its data set by collecting samples from as far away as Thailand and Alaska. Researchers at MERI found microplastic contamination in every single sample, with counts as high as 71 pieces per litre in one of Steve’s samples. “Marine microplastics pollution is a global issue that is impacting fisheries and will impact people’s lives in the years to come,” says Abby Barrows. These plastic particles come from environmental weathering of plastic pollution, municipal runoff, manufacturing processes and even common cosmetics. By better understanding the distribution and concentration of microplastics, legislators and consumers can take steps to limit the spread of this pervasive form of pollution. Plastic bag bans in coastal communities, recycling programs for plastic commercial fishing gear, and improved community recycling programs will all be informed by this research. Republished from the 1% FTP blog. ASC connects scientists with adventurers and athletes. Since their founding in 2011, ASC has sent more than 1200 adventurers/athletes to collect data for more than 120 scientists. The data has led to the discovery of more than a dozen new species, provided key information to guide climate change and wildlife management decisions, and helped to protect threatened wildlife habitat. Call to adventurers and athletes: Tell ASC about your expedition! Keep in mind that ASC need at least 6-8 weeks to set you up with a project and connect you with the scientist.